Copyright (c) 2013 Hangar One Avionics Inc. All rights reserved. The maintenance staff at Hangar One has the knowledge, capability and experience to handle even the most difficult maintenance for your aircraft. Quality and support are the backbone of our approach to aircraft services. Located at Palomar Airport in Carlsbad, California, Hangar One is your one stop shop for all of your aircraft needs. 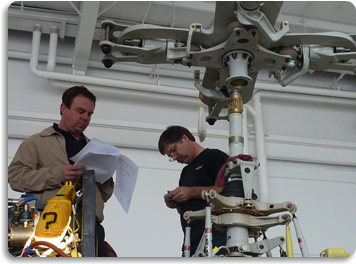 from scheduled maintenance to structural repair, our highly qualified staff is always ready to get you back in the air! For more information, or to request a price quotation for work to be completed, please stop by the Contact Us section.